Nonprofit Turns to NetSuite to Fight Childhood Hunger - NetSuite, Inc.
Press Release from NetSuite, Inc.
LAS VEGAS, April 3, 2019 /PRNewswire/ -- SUITEWORLD 2019 -- MANA Nutrition, a nonprofit producer of ready-to-use therapeutic food (RUTF), is using Oracle NetSuite to support its mission to end severe acute malnutrition (SAM) across the globe. With NetSuite, MANA has been able to focus time and resources on the fight to end malnutrition by reducing manufacturing costs, increasing supply chain efficiency and gaining a single view into financial data across its growing organization. 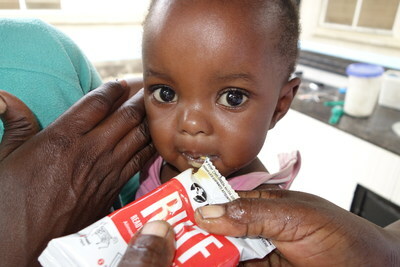 "Our mission is simple, we're here to help end malnutrition for children around the world. We are on a never-ending quest to find a better way and are guided by the mindset of 'if it's good, let's make it great,'" said Chris Whitfield, CFO, MANA Nutrition. "NetSuite has been great. It continues to give us ever increasing levels of visibility into our operations and enabled us to dramatically and consistently reduce costs by driving efficiencies across our organization. This has helped us demonstrate our impact to benefactors and allowed us to reallocate funds to create more food and save more lives." "Child malnutrition can stunt a child for a lifetime, and MANA is making a huge impact through its own work and its broader impact on the industry," said David Geilhufe, senior director and social impact leader, Oracle NetSuite. "We're incredibly proud to work with organizations like MANA which are creating social impact every day. By giving them the technology and support to help expand their mission, we are enabling them to grow and play a small part in making the world a better place."